The Rhino R2T1-EC 2T1 PCI Card with Echo Cancellation has been discontinued by the manufacturer. To find similar products, please visit the Rhino Digital Cards Web Page . For more information or if you have questions, please call 800-398-8647. Rhino R2T1-EC. Using Asterisk, Rhino Open Source Telephony PCI products allow you to utilize analog phones and wiring in conjunction with leading-edge Asterisk technology — without having to buy expensive IP telephones. Why go IP when you can save on installations by using your existing wiring? 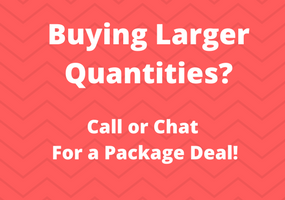 With Rhino you can use lower cost analog phones with digital features and get guaranteed T1 voice quality, all while enjoying Asterisk VoIP technology for off-premise connectivity. Rhino's onboard echo-cancellation provides excellent voice quality and fast convergence rate. There is no divergence due to doubletalk and cancels multiple independent tails. The Tone Disabler disables echo canceller during voiceband modem and FAX connections. The echo cancellation module is a G.168 compliant line echo canceller, which meets and exceeds G.168-2002 Using Asterisk? 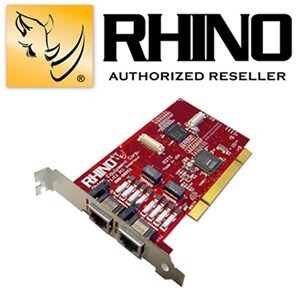 Rhino Open Source Telephony PCI products allow you to utilize analog phones and wiring in conjunction with leading-edge Asterisk technology -- without having to buy expensive IP telephones. Why go IP when you can save on installations by using your existing wiring? 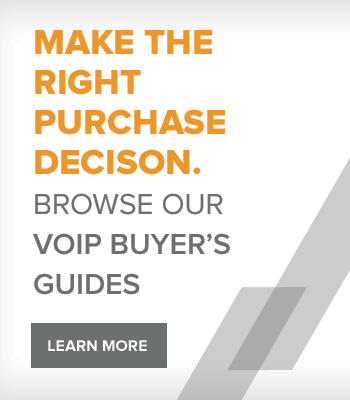 With Rhino you can use lower cost analog phones with digital features and guaranteed T1 voice quality, all while enjoying Asterisk VoIP technology for off-premise connectivity.